At the beginning of December we made a delivery of a vintage French games table to a gorgeous house in Georgia that has the look of a French chateau. This is the vintage French games table that Nita and her husband Walter purchased. 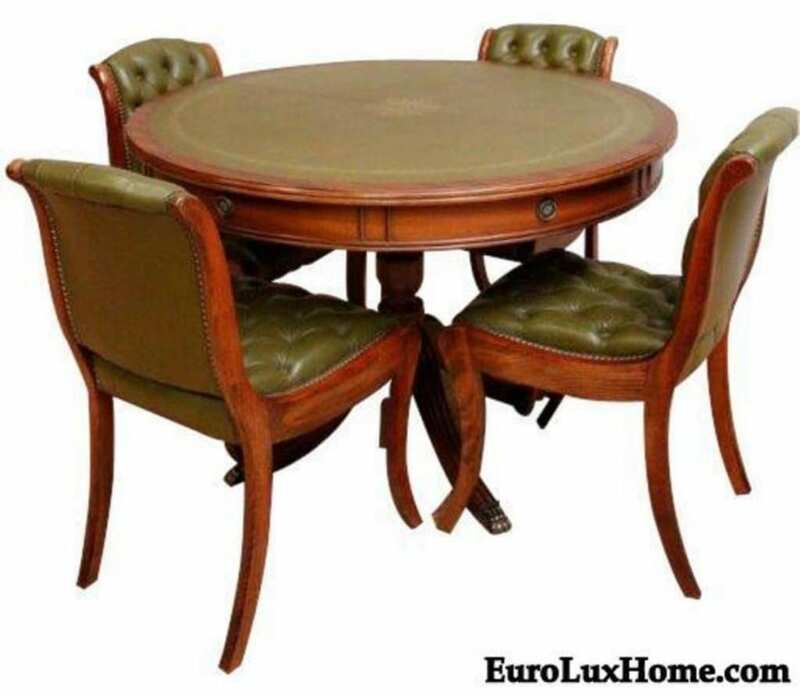 The Regency style table set with four chairs was made in France in about 1960 and you can see that the round table has drawers to store your cards and dice. The gold design on the green leather top and the handsome matching tufted chairs make the set look especially debonair, as if it came from a chic casino in Paris or Cannes. 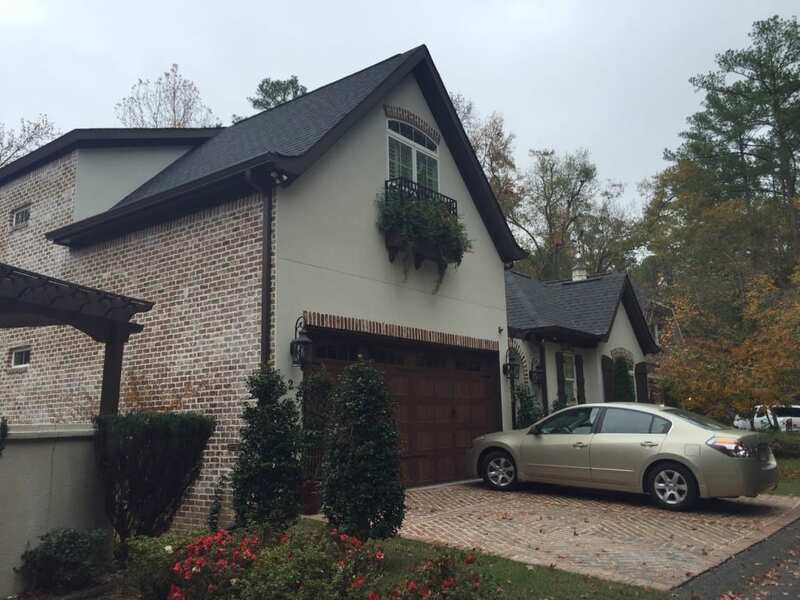 We made the delivery to Nita and Walter in their beautiful home in Augusta, GA. There are so many lovely details to the house, it really resembles a French chateau from the outside. The fountain that runs from the lion’s mouth on the brick wall had been turned off as we were starting to have evening temperatures that dropped below freezing. 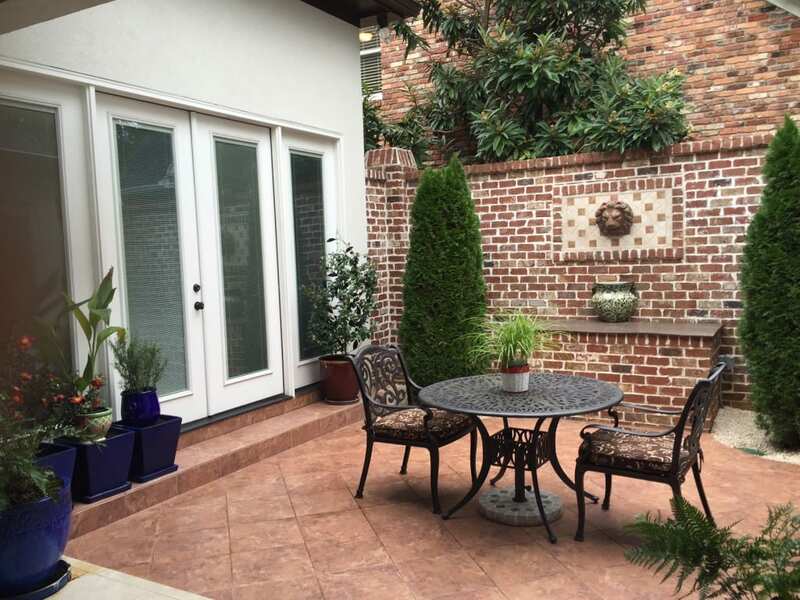 What a lovely spot to enjoy coffee and croissants, or a bottle of wine at the end of the day! We delivered the vintage French games table to a large living area at the rear of the home, off the large kitchen. The floor-to-ceiling fireplace crafted in natural stone is absolutely stunning in person. The vintage games table in mahogany has a beautiful green leather playing surface that pairs superbly with the four green leather upholstered chairs with a Mid-Century Modern look. The green leather is the perfect complement to the olive green in the large Oriental rug. The ceilings were so high that I couldn’t quite catch them in the room view, but they are hand-planed wooden planks, framed by massive wooden support beams. The natural light pouring through the windows floods this cozy nook. 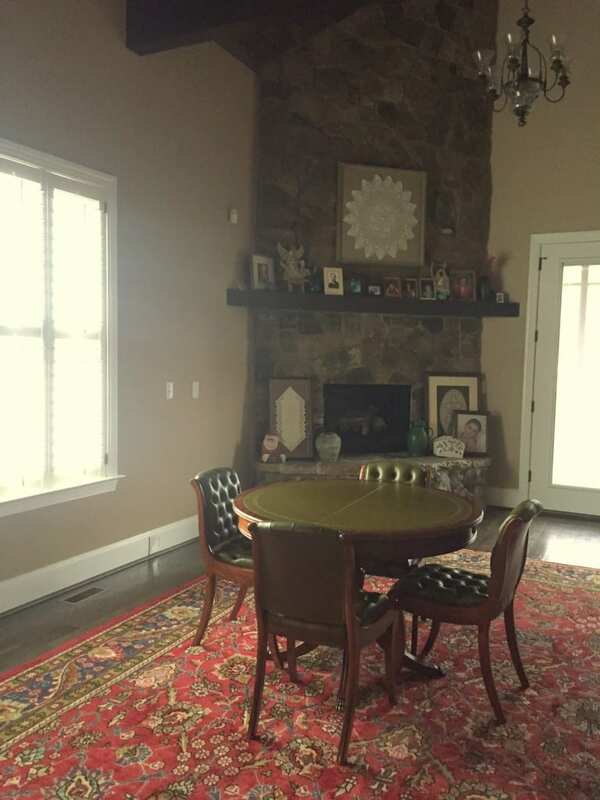 I don’t know how to play bridge, but this looks like an ideal spot for fun times spent with family and friends near a warm fire this winter season! Thank you Nita and Walter for letting us see inside your lovely home. We hope that the vintage French games table brings you many years of good fun and good luck! 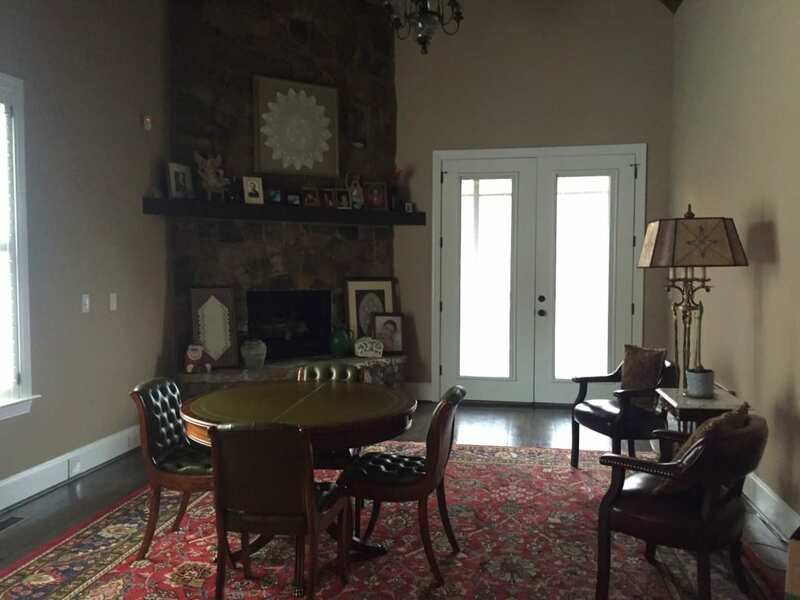 This entry was posted in Client Spotlight and tagged 1960s vintage, French Vintage Furniture, Game room, game table, Leather furniture, Vintage French furniture, vintage table on January 18, 2016 by admin.